Perth’s most reliable provider of soil and sand supplies to the building and construction industry. 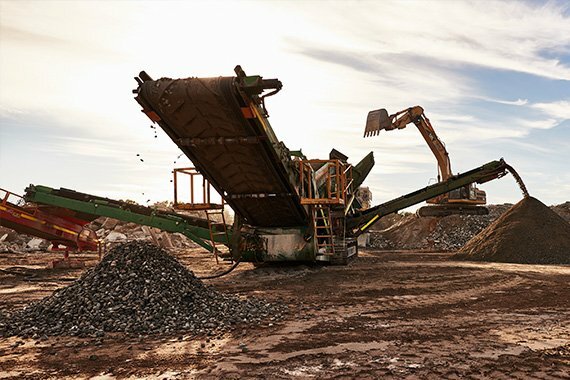 For over 40 years, Calautti Sands has specialised in delivering quality building and sand supplies in Perth, Western Australia. Guaranteed next day delivery of your building and soil supplies. sand supplies in Perth, Western Australia. 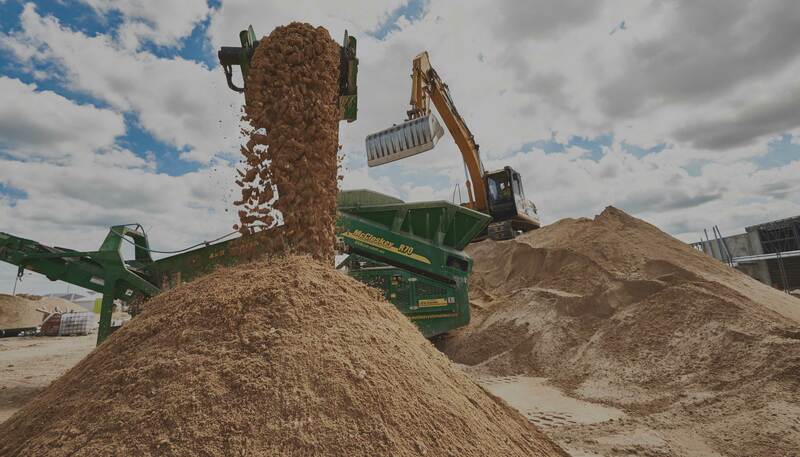 Calautti Sands has been a leading provider of building, sand and soil supplies and sand supplies in Perth for over 40 years. Established in 1969, our wealth of experience, reliable service and competitive prices, ensure we always deliver a high quality product and fast. We pride ourselves on our reliability, guaranteeing next day delivery across the Perth metropolitan area. Our products and services are integral to our success and we source the highest quality building and sand supplies available for our clients. Delivering from Mandurah to Two Rocks and east to Chidlow, we can provide you with a variety of building and construction supplies including brickies sand, topsoil, crushed limestone, recycled concrete, roadbase, garden mulch and more. At Calautti Sands we stock an extensive range of high quality bagged products ready for delivery around the Perth metropolitan area. Our 1 tonne bags are suitable for a range of trades and projects and include Brickies Sand, Plasterer’s Sand, Varying Sized Blue Metal, Roadbase and Blue Metal Dust, White Washed Sand, and White Brickies Sand. Our high quality products will ensure you have the resources you need to complete your projects at competitive prices. Our extensive range of building supplies includes Crushed Limestone, Blue Metal, and Recycled Products. All of our building resources are of the highest quality and are available in quantities suitable for both large and small projects. Our Crushed Limestone comes in a range of sizes for every use, from residential driveways to commercial site pads and more. Likewise our Blue Metal is available in Blue Metal Dust, and a wide range of mm cuts. Caulautti Sands is also proud to offer a range of high quality Recycled Products for residential and commercial use. Calautti Sands has a huge range of competitively priced, quality Recycled Products available for order and next day delivery around the Perth metropolitan area. Our range includes two high quality Roadbase options suitable for residential and commercial use on small and large-scale projects. As well as Asphalt/Profile, ideal for hardstands due to minimal dust creation, and Ballast/Drainage Rock, available in both 20mm and 40mm. Calautti Sands stocks an extensive range of superior quality roadbase supplies in Perth. Composed of crushed recycled concrete, our high quality roadbase is designed for optimum compaction to produce the best results possible for your project. Our two different roadbase options are ideal for use in both large and small infrastructure projects. 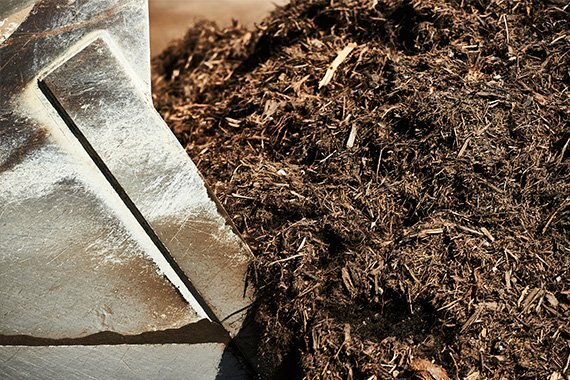 Our unique blends are crafted to ensure they are optimal for use in projects such as driveways, roads, or tracks. We offer fast and reliable service and can guarantee next day delivery on our roadbase products around the Perth metropolitan area. 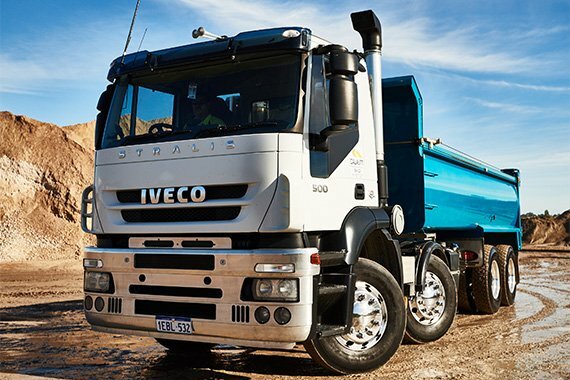 A sustainable supplier of recycled concrete and sand supplies in Perth. As one of the largest suppliers in Perth, we are committed to providing sustainable solutions. Innovation is key to providing our customers with a diverse range of quality and sustainable products. In addition to our core product range, we have a strong focus on sustainability and providing recycled and re-used product options. Through our sister and parent companies, our networks allow us to be environmentally resourceful and provide you with sustainable solutions for both delivery and waste removal. 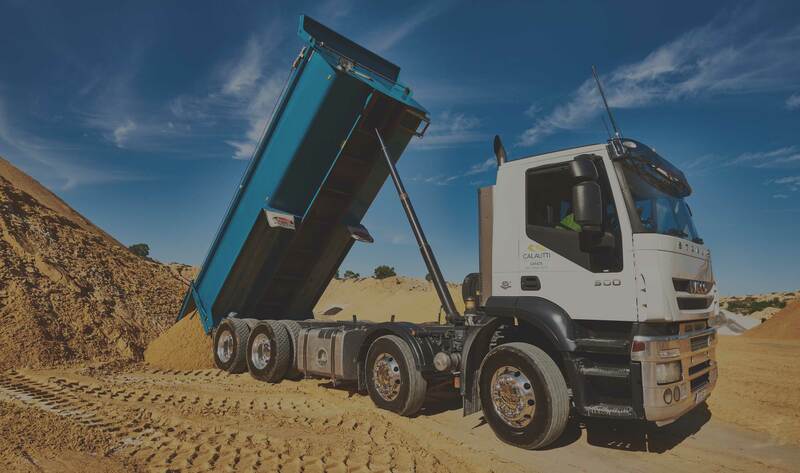 Truck hire services for carting sand supplies in Perth. 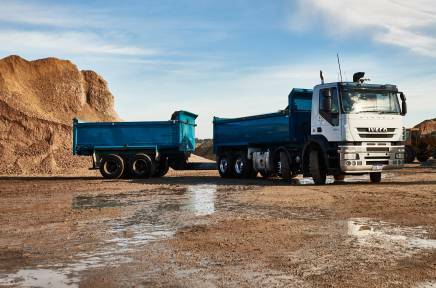 Calautti Sands provide a truck hire (cartage) service on an hourly basis. If you require bulk removal of sand or waste or would like to cart your brickies sand, plasterer’s sand and other products, our extensive fleet of trucks are available for hire in a range of sizes.